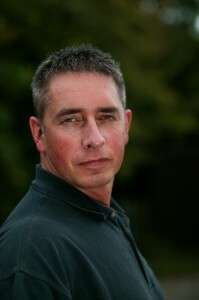 Fit for You Personal Trainer Phil, born in 1964, has over 20 years experience in the health & fitness industry, since 1985 to starting his own health & fitness consultancy business in 1998. His work includes; private coaching for sporting professionals and individuals who feel they would also benefit from exclusive training; and presenting talks and workshops to small and large businesses, to improve health, performance and overall wellbeing to staff and business owners alike. Businesses include; Royal Mail, ASDA, Simpson and Allinson, Hydro Polymers. As an NLP Master his ability to help individuals reach optimum performance potential is unsurpassable. Phils qualifications inc: Diploma in Personal Training, C.H.E.K Golf Biomechanic, C.H.E.K Holistic Lifestyle coach: Level II, Advanced Metabolic Typing Coach. Personal Trainer Durham & trainer of trainers, Phil is experienced in teaching courses to individuals & groups, from Fitness Trainer & Gym Instructor, to Advanced Personal Trainer. Delivering informative and useful information from the basics to start up business in your own personal training studio.